In the shadow of its Inspire partner conference, Microsoft today launched in preview three new tools for small businesses: Microsoft Connections, Microsoft Listings and Microsoft Invoicing. These join the company’s existing stable of small business tools like Microsoft Bookings and the Outlook Customer Manager. 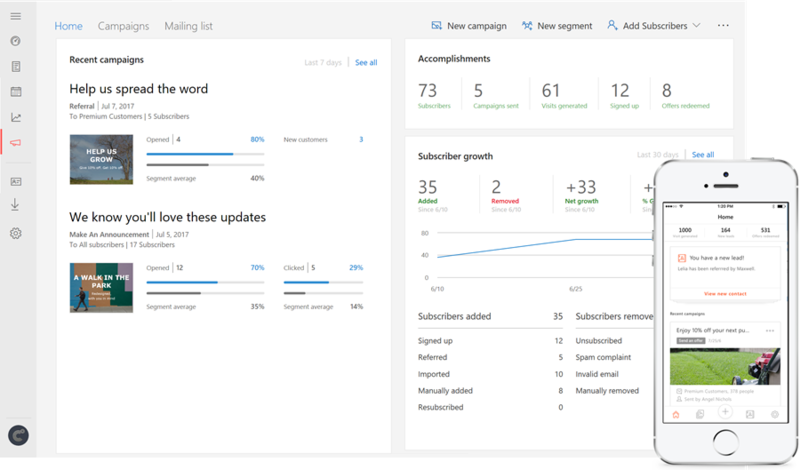 Microsoft Connections allows its users to create Mailchimp-like email marketing campaigns. The new service, which is available on the web, Android and iOS, will offer the usual trappings of an email marketing campaign tool, including the ability to manage subscribers, monitor campaign performance (open rates, clicks, new customers, redemptions, etc.) and, of course, create the actual campaigns. While the details about how exactly the service works remain sparse, Microsoft says it will offer users a number of pre-designed templates for their newsletters and “simple ways for people to join your mailing list or unsubscribe.” A company spokesperson also told us that the new tools will be available at no extra cost. The idea here is obviously to tie users deeper into the Office 365 ecosystem and give them an alternative to the likes of MailChimp. Microsoft argues that getting started with email marketing “can be overwhelming.” While its competitors will surely disagree, there can’t be any doubt that those small businesses that already use Office 365 as their productivity suite of choice will appreciate the addition of this new tool. Also new is Microsoft Invoicing, a new tool for — you guessed it — creating invoices and estimates. From what we can see, it’s a pretty straightforward service and the standout feature for many businesses is likely that it can be integrated with PayPal so small businesses can easily accept credit card payments. There also is a QuickBooks connector that lets you connect your accounting software (and your accountant) with this new invoicing tool. 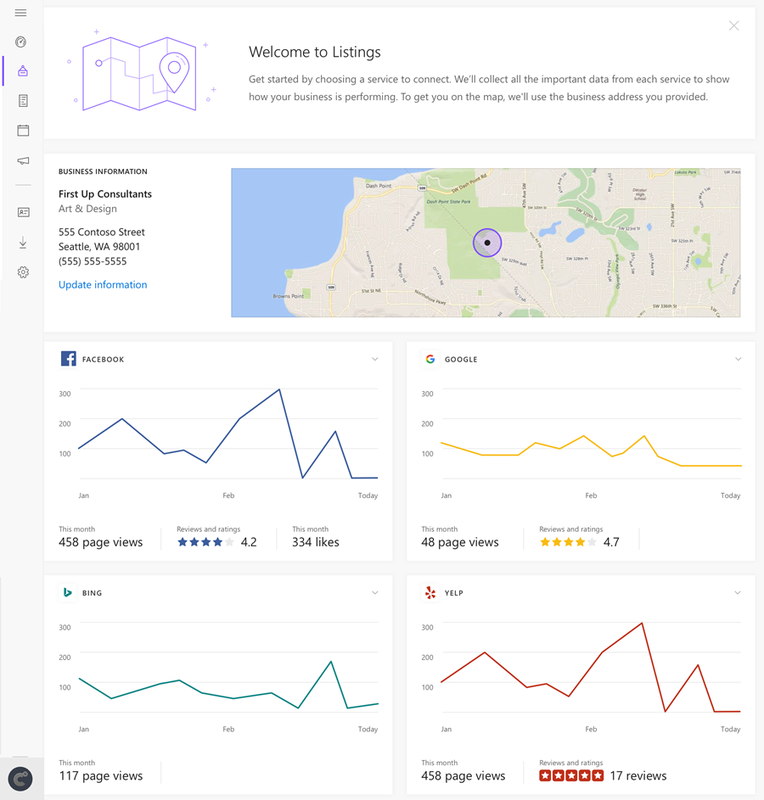 The third new tool is Microsoft Listings, which allows you to manage your business listings on Facebook, Google, Bing and Yelp and monitor online views and reviews. It obviously competes with a number of similar tools that do the same, but just like with the other new offerings, it’s a way for Microsoft to keep its users inside its own ecosystem. The new applications are now available through Microsoft’s Office 365 First Release program.